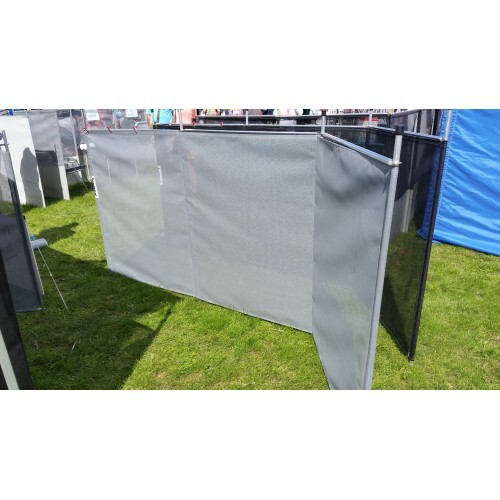 This windbreak while protecting you from the wind still allows you to see the beautiful views you have set your motorhome/caravan up to enjoy. No guy ropes required so no trip hazzard. Manufactured using on high quality extremely tough and durable materials. You can even pack it away while it is wet in the included bag meaning no mess in your vehicle. Included with each windbreak are a set of tension bars to prevent sagging. With this quality product there is no need to bend down to set it up.